The African Union on Tuesday condemned the latest United States (U.S.) travel ban which has included Chad. An executive orders signed by President Trump on Sunday has suspended business and tourist visas for Chadians. The move, according to Washington comes as Ndjamena fail to share terrorism-related and other crucial information requested by the U.S. Seven other countries are also affected by the ban – Iran, Libya, Syria, Yemen, Somalia, North Korea and Venezuela – while Sudan was removed from the list. 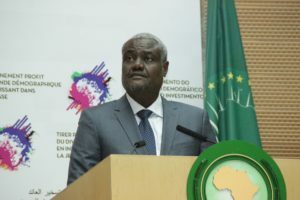 The AUC in a statement released on Tuesday said it was dismayed at Chad’s inclusion given that the Central African nation is a key U.S. ally in the fight against terrorism. 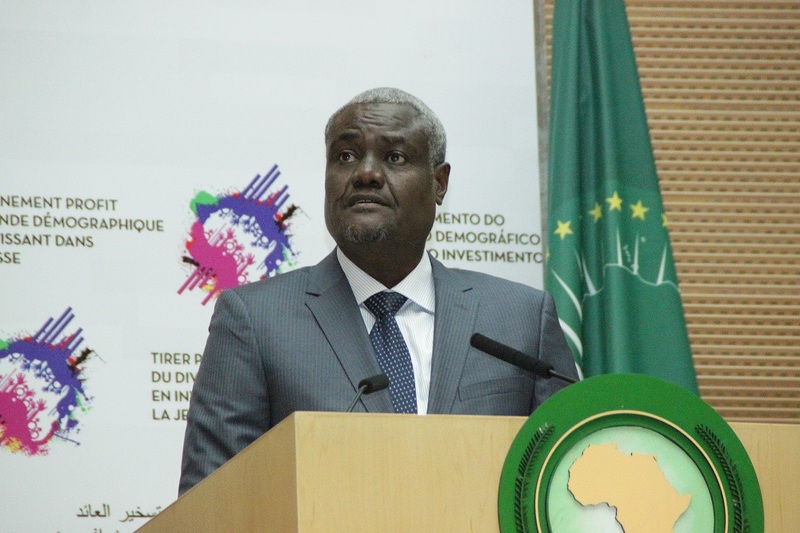 The AUC expressed bewilderment at the imposition of the unjust travel ban on the Republic of Chad, in particular, given its important role in the fight against terrorism in the Lake Chad Basin, Northern Mali, and the Sahel. The commission of the continental bloc further stressed that it was perplexed by the imposition of a travel ban on some African countries as the free and legal movement of people is the foundation of a stronger and mutually enriching relationship between the African continent and the United States. As a reminder, Chad has been an important partner of Washington, The African Union and France in the fight against Islamist militancy. Ndjamena is home to the headquarters of the Multinational Joint Task Force (MNJTF) against Nigeria terror group Boko Haram. Posted by Geraldine Boechat on September 27, 2017. Filed under News. You can follow any responses to this entry through the RSS 2.0. You can skip to the end and leave a response. Pinging is currently not allowed.